Basically, UVA rays are the sun rays that are there all the time, even when you don't think they are because it is cloudy. Have you heard that you can get sun burnt even on a cloudy day? Well, you can. That's the UVA factor you need to pay attention to every day of the year, not just in the summer. UVA rays penetrate deep into the thickest layer of your skin. This is the reason sun damage from UVA rays causes premature aging and skin damage. 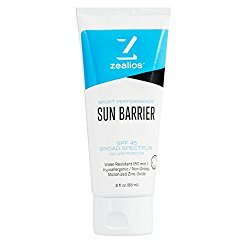 UVA rays are also the skin cancer enemy! Skin cancer is formed by UVA rays damaging your skin at the deepest level! UVA rays are even dangerous coming through car windows and the windows of your home! That is why many windows are now tinted to help protect you from the UVA rays. There are also sun protection screens that you can put on your car windows that aren't just for the baby in the backseat, but also the driver and front passenger windows. Since this is a solid stick formula, your hands won't get all messy applying it! Roll it on your arm and face as needed. Unlike the feeling you get from exposure to UVB rays and the sunburn these rays give, UVA rays cause damage you can't even feel! That's why UVA rays are so damaging. It is easy to forget about them when you are indoors, in your car, or outside on a cloudy day. If you can't see the sun shining down on you it is easy to forget your sunscreen! 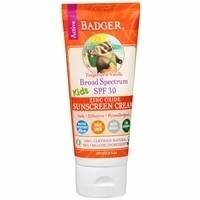 To protect yourself against UVA rays, go with a sunscreen that has an SPF of 30 or higher, is water resistant and is labeled with these words: UVA/UVB Broadspectrum. 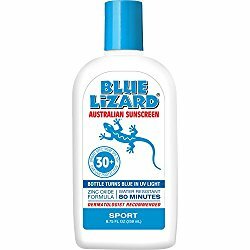 Here are some of the highest rated zinc oxide sunblocks on the market that you can easily order on Amazon since Clearwater is an Amazon Affiliate. As an Amazon Affiliate, we will be highlighting products on our website that we do not sell in any of our stores simply because our customers can get the products at a better price on Amazon. So, even though Amazon is not a company local to you like Clearwater, you can still support our small business and enjoy the convenience of Amazon Prime prices and free shipping. Not an Amazon Prime member? You should consider it!